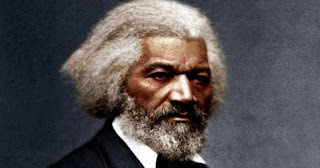 Frederick Douglass, born a slave in 1818, is best remembered as a Black man who successfully escaped slavery, and later fought fiercely to abolish slavery. He became a national leader in the abolitionist movement in Massachussetts and New York, and his writings were influential in promoting anti-slavery. But there is so much more to his story! #1 - Douglass is not his real last name. He was actually born Frederick Augustus Washington Bailey. He and his wife adopted the name “Douglass” after he escaped from slavery in Baltimore, Maryland. #2 - His father was white. #3 - Hi first wife was a free black woman, and his second wife was a white woman 20 years younger than him. #4 - He taught himself how to read and write. #5 - He was a recruiter for African Americans into the Union army during the Civil War. #6 - He worked directly with Presidents to change the treatment of African Americans, including President Abraham Lincoln in 1863 on the treatment of black soldiers, and with President Andrew Johnson on the subject of black suffrage. #7 - He was a lifelong supporter and activist for women’s rights and suffrage. #8 - He was the first African American to receive a vote for President of the US. Without his knowledge, he also appeared on a ticket as Vice-President for the Equal Rights Party in 1872. #9 - He wrote a best-selling book in 1845, his first autobiography entitled Narrative of the Life of Frederick Douglass, an American Slave. #10 - He received high-ranking federal appointments and served under five presidents, which was unheard of for African Americans at the time.